Sophie’s Place, was established in loving memory of singer, songwriter, and friend, Sophie Barton. These dedicated spaces are music therapy facilities built in children’s hospitals that treat young people suffering from pain, chronic illness, and serious injury. Sophie’s Place currently provides music therapy to children at Primary Children’s Hospital in Salt Lake City. In 2016 we opened the doors to Sophie’s Place at Sutter Children’s Center in Sacramento, CA, Cardon Children’s Medical Center in Mesa, AZ and our newest space at Lucille Packard Children’s Hospital, October, 2017 in Palo Alto, CA . 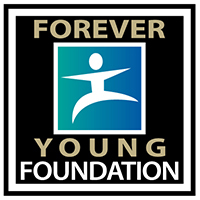 Forever Young Foundation is excited to announce that we have many more locations around the country soon to break ground. While most people know music has an extraordinary power to bring comfort and peace to the soul, recent clinical studies have proven that music therapy offers a new evidence-based, integrative medical approach in treating their young hospital patients.